Hi, my name is Julian. I am „Monsieur Sky“, a professional photographer based in Hamburg, Germany. My passion for photography developed quite early fueled by my interested in roller coasters. Soon I started traveling the world to enjoy rides on roller coasters all over. Picturing my trips was what I always wanted. The more impressive the better. Back at the age of 14 I bought my first DSLR-Camera. Shortly after that I received a phone call by a former chief reporter of Germanys widest circulating newspaper “Bildzeitung”, who has seen some my photos on the internet. I am rather sure that he had a great influence in my work (big thanks at this point to Norbert – he has supported me a lot till today). I love traveling, taking photos and the amusement branch. Thus I created “Monsieur Sky” a label exclusively for photography in the leisure industry. Today, many amusement parks – most of them are in Europe – and several manufacturers all over the world are my clients. I am proud to be able to say that I’ve found a profession that makes me smile every minute I am working on it. 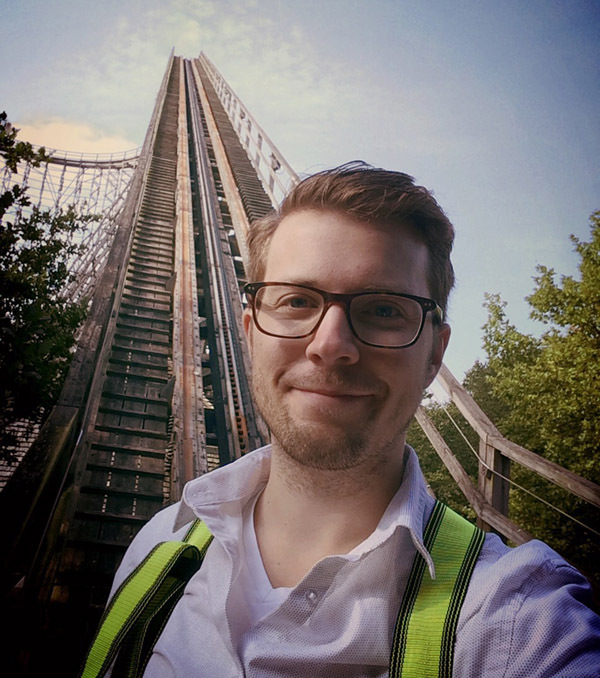 If you run your own amusement park and the like or if you manufacture rides and more for the industry, you might be interested in where I travel within the next few weeks and months. Let’s stay in touch. Get to know how to email me and where to find me on social medias. I also gladly like to inform you about new upcomming travels and more, if you would like to.